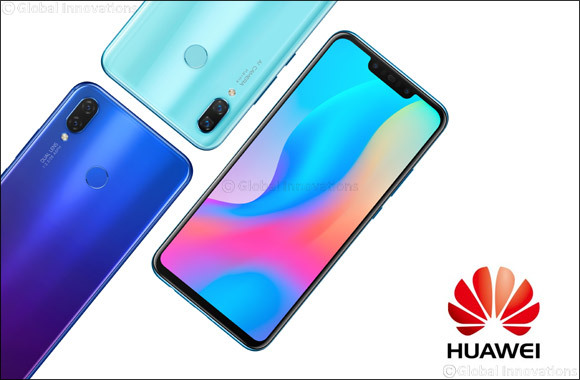 12th August 2018, Dubai, United Arab Emirates: Huawei Consumer Business Group (CBG), the global smartphone giant, today announced that its latest HUAWEI nova 3i is now available in the UAE. The new, trendy and fashionable HUAWEI nova 3i is powered by Artificial Intelligence (AI) in its overall functioning and camera features. With dual front camera (24MP+2MP), users can expect the best-in-technology ‘selfie' that a smartphone can offer. The HUAWEI nova 3i can beautify you with the advanced algorithm to be natural and appealing. Moreover, the powerful AI scenery recognition can adjust the surroundings to match your true beauty in the selfie. HUAWEI nova 3i has a very young and trendy appeal to it. It comes in fashionable Pearl White, Black and Iris Purple colours, making it a statement accessory for consumers who look at smartphones as an extension of their personality. The 6.3-inch FHD+ (2340 x 1080) provides a wide view of your world while fitting in your pocket. The HUAWEI nova 3i is now available for pre-order from 7th August and will be on the shelf from 16th August, 2018 at the HUAWEI Experience Store at the Dubai Mall and across select retailers in the UAE. The HUAWEI nova 3i will be available in Iris Purple, Pearl White and Black colours at AED 1,299. HUAWEI nova 3i will also be available on SOUQ.com starting August 16th, and on the first sale day customers who purchased HUAWEI nova 3i will have a chance to win cash back vouchers worth the value of the device (AED 1,299), when purchasing the phone at SOUQ.com. Consumers can experience the innovative and stunning devices first hand at the Huawei roadshow taking place at The Mall of Emirates from 10th-25th August and Midriff City Centre from 13th -22nd September to choose from the variety of products suited to their style and budget. The intelligent smartphone is equipped with a 24MP camera both in the front and at the rear to capture the best-looking selfies. The AI enhancements will create selfies at the first click by capturing both the face and the surroundings. HUAWEI nova 3i's primary lens captures the image data, whilst the secondary takes in depth-of-field data. The 24MP f/2.0 wide aperture camera on HUAWEI nova 3i boasts incredible image processing power; and the 2MP secondary camera collects depth-of-field data with specialized hardware to produce professional bokeh effects. HUAWEI nova 3i is equipped with a Kirin 710 AI processor and EMUI 8.2 for flagship performance. HUAWEI nova 3's camera has a set focal length of 35mm for selfies providing the best-in-technology to capture a stunning AI selfie. The AI enabled beauty algorithm offers seven skin tones and textures for users to choose from and customize their selfies to create their own definition of beauty. HUAWEI nova 3i will have 12 months manufacturer warranty and a VIP dedicated Hotline Service, door to door device collection-repair-return and free engraving services available at all Huawei Service centres across the UAE. Additionally, customers can buy HUAWEI nova 3i under old to new trade-in offer at Huawei Service Centres and select independent retailers across UAE. Pre-installed HiCare Service Application available for fingertips solutions.